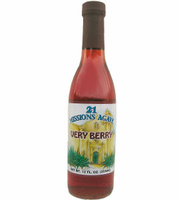 Tasting notes: A full aroma of fresh mixed berries, strong notes of strawberry and raspberry. 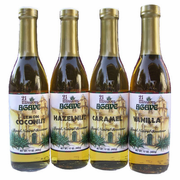 An excellent syrup to sweeten Iced Tea, fruit smoothies and home made organic popsicles, . 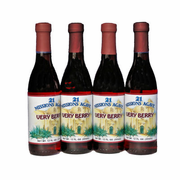 Very Berry Syrup - is formulated for optimal flavor balance when blended in iced tea, fruit smoothies, cocktails, select fruit and berry desserts, and culinary specialties. The Blue Agave Nectar used in our 21 Missions Agave Nectar is Vegan, Kosher and Organic. 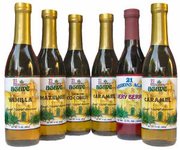 Agave Nectar comes from the Agave succulent plant and is sweeter than sugar, yet has a lower glycemic index (does not quickly raise blood sugar levels).